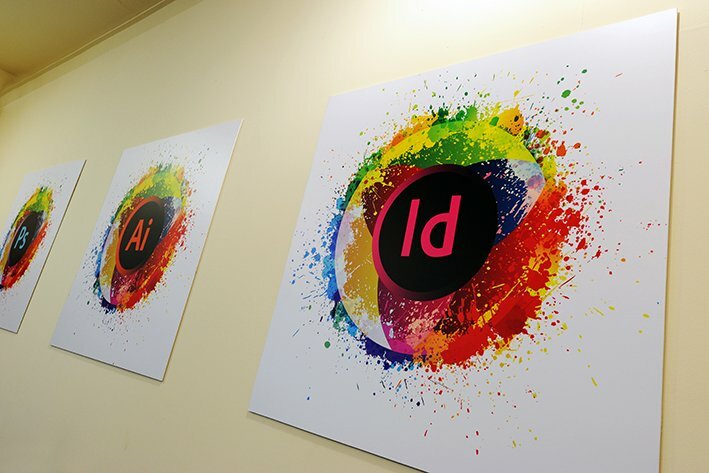 If you are a small business or work within the Marketing department of a larger organisation I’m sure you have heard about Adobe InDesign before, its the industry standard in page layout programmes it enables you to quickly and easily create stunning layouts for both online and print use. So what are the benefits of taking an InDesign Training Course? Are you sick of paying external agencies to make just minor amends to your artwork? or are you coming up with the ideas then going backwards and forwards with your designer when the design isn’t exactly as you envisage? By equipping your self with some Adobe InDesign knowledge you will be able to edit and create artwork at your desk in your own time saving valuable time and money! Are you wanting your social media posts to stand out but just don’t have the skills to give them that whizz bang? Well once you get the hang of the Adobe InDesign interface you will soon be able to put images and text together creating some striking designs to accompany your social posts. Bored of the same old Microsoft Powerpoint templates? The frustration when you want to just align a few images to make the layout look neat and organised? Well InDesign has many features that give you absolute control over where everything goes on your page. You can also export the file as an interactive PDF that you can add all sorts of features like image galleries, buttons and hyperlinks to really make your presentations stand out of the crowd. Have you had designers produce artwork for you in the past? Well its highly likely this would have been produced in InDesign and you will own those files, simply ask them to email them across and you can update last years brochure with new pictures and information then get it sent out with no additional costs from external agencies. So you come in to work with an amazing idea in your head, how much easier would it to be if you could just open Adobe InDesign and start getting it visualised rather than write an email to describe how you want it to look only for it to come back nothing as you expected!? Once you know how to use Adobe InDesign you can quickly and easily get ideas out of your head and out though your various marketing channels. So what are you waiting for from just £199 we can get you trained up and creating your own stunning marketing material in no time! 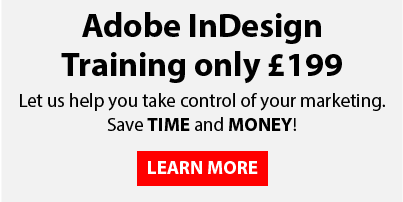 Have a look at our InDesign Training Course or if you would like to have a quotation fro us to come to you and train in your own offices just fill out the form below and we will get back to you with more information and a no obligation quotation.